I’ve been reading a lot of threads here for the last two days and had an eye on like ebay for at least three weeks now. As the genuine SLS Sega Saturn USB Pads are almost impossible to purchase, and if then what I’ve seen not below $150, I wondered if some of you had lately—not back in 2014 or when—experiences with PCB-swapping, for example putting the Play Sega PCB into an genuine Sega Saturn Control Pad (non-USB) or e.g. this Retrolink clone (I think these two are the most appropriate clones, from what I read here). Also I read about soldering some USB wire directly to the non-USB Control Pads, but that looked to me very very complex if you’re not into electronics. Thank you very very much for your advice! As you mention, there were some differences in the shoulder contact design between pad versions. I’m not aware offhand which, if any, would directly swap with a clone PCB. There was a USB PCB swap kit available from Japan long before the actual USB pads appeared. You could do some searching around but too much time has probably passed on that too. If you are willing to mess with clone PCBs, is it that much of a stretch to use an adapter? I would just go that route since it sounds like you have original pads. The old Mayflash adapters, for example, were quite good. FWIW, I have some of the SLS pads and even they aren’t quite as good as the originals. They’re good, but between the two I would still pick the actual SS pads. You can pick up changes in the shell texturing, rubber contact pads, and D-Pad material. So yeah, for you, maybe just get a converter at this point. Well to be honest, I don’t own any Saturn control pad myself, yet. I’ll just consider very precisely, what to buy, as it’s a lot of money for some students’ budget. So you think the SLS USB control pad is not as good as the original Sega one … that’s good to know. Maybe I should really use some adapter then, if I don’t find any way (or anyone) to mod the original control pad. I’ve read a lot about this 4play bliss-blox, that looks really good. I have a MK-80116 pad with an SLS USB PCB that I use almost everyday. I love that little thing. I replaced the shoulder switches on the SLS PCB with the original SEGA ones. Would love such one, too. Finding the Genuine SLS Sega Saturn USB Pads is like finding a Unicorn. This guy talks about the Japanese PCB kit. Actually, this was only back in 2013. I didn’t get much farther since any further links were in full Japanese. As far as budgeting issues… the Buffalo USB pads are as good as advertised for the money. Thank you! So it seems those PCB boards are around 17 EUR … though I have no idea on how compatible they are. Pretty sure they’re not part of retroarch’s autoconfig set. Here’s a translated version of their website. 8bitdo will probably release something “concerned with Sega” in the first half of this year, but I don’t know more about this. Maybe I should just wait and while doing so, use a Play Sega controller and have an eye on ebay and my Want-to-buy posting here. Did 8bitdo actually make that comment? I wrote them an email three days ago and that’s what they answered … and by “that” I mean what I wrote in quotation marks in my post above. That’s great to hear… they probably have paid attention to all the wishes and have something in the pipeline. I’ll be looking out for it. That said, I like the SNES controllers but don’t think they’re as good as the hype. And the N64 controller didn’t get as nice of a reception. So I’m prepared to be disappointed. I just need that HELLA TINY mode button on the top right side!!! Retro-Bit, it’s the same controller that came with the Generations console, the console sucked, but people said that the controller was great. 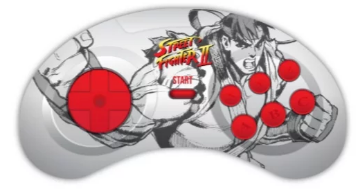 There is already a USB Genesis controller from Hyperkin. That board swaps directly into an official US 6-button and works perfectly. I bought the Mayflash SS adapter and it’s pretty odd. On the USB 2.0 ports I’m missing button inputs, but on the 3.0 port, it works great. Does anybody know if this particular one need more energy than a usual adapter? I’ve also read that there is some incompatibility with the Raspberry Pi 3.